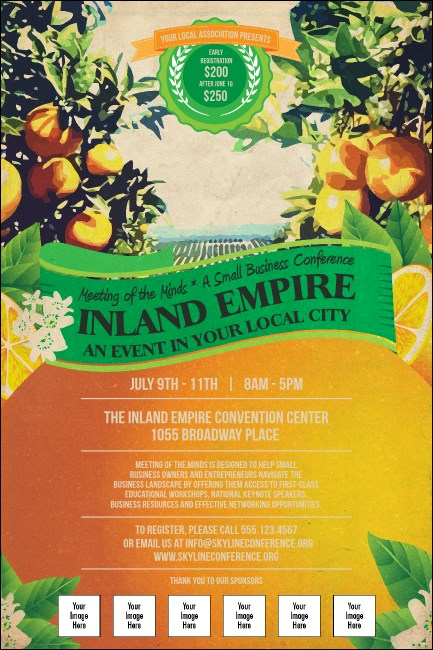 Help your sponsors build an empire when you promote their logos along with your next Ontario event with colorful Inland Empire Posters. Print these dynamic Posters in advance to advertise your event with some Southern California orange grove charm and space for six custom image uploads. TicketPrinting.com helps you grow your event into an empire.